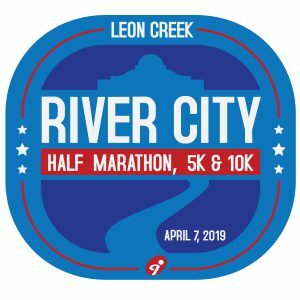 Come rain or shine, the River City Half Marathon, 5k & 10k is on! The only thing that might delay us in the morning is lightning. The Leon Creek Greenway does run along a creek bed and there is a potential for low spots and possible flooding. We will continue to monitor the course up until the race begins. We GREATLY appreciate your patience and trust. Come with a great attitude and you will already be a winner. Thank you very much! You may pickup a packet for friend or family member. When checking in, all we need are your names! We will also have Packet Pickup available race day morning. However, please make every attempt to pick up your packet on Saturday.